If you’re looking for a great instructor in defensive firearms training, our in-house expert, Trevor Robinson, is your man. 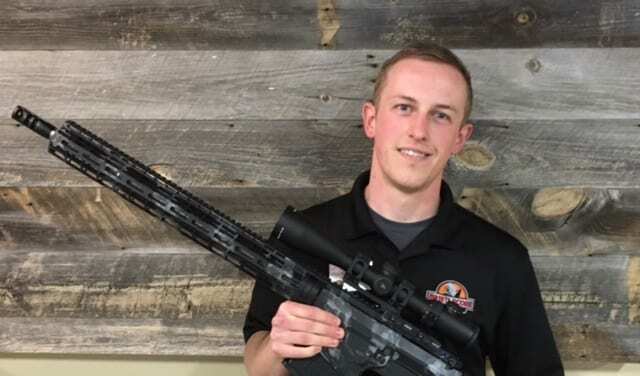 Trevor has carried a defensive handgun for the last four years and has done private and classroom instruction for the past two years. He was certified as a Defensive Firearms Coach and NRA Range Safety Officer in 2015, and an NRA Basic Pistol Instructor in 2016. Trevor continues to work towards advancing his Instructor Certifications, as well as his personal skill set through constant, consistent and realistic training. Trevor teaches our Intro to Pistol, Fundamentals of Home Defense Handgun, CCW, Practical CCW Skills and Family Firearms Safety Classes, and is available for private instruction upon request. Question: How did you get started with defensive firearms training? Answer: I took a basic CCW class from another local range (I worked there at the time), and I ended up learning more about the instructor’s cousin shooting himself accidentally than I ever did on how to properly handle a firearm, safety rules, and shooting techniques. I knew right then that I wanted to be an instructor and help people learn in a better way. When Bryan and Jacquelyn presented the opportunity to become a Defensive Firearms Coach, I jumped at the chance. Question: What’s your favorite of type of shooting? Answer: Currently, defensive pistol drills are taking up the majority of my time. USPSA Competiton is a fun way to judge progress on those skills, and I try to shoot it as realistically as possible. 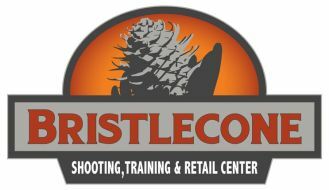 Question: How long have you been with Bristlecone? Answer: Coming up on two years now. Question: How long have you been instructing? Have you taught anywhere else? Answer: I’ve been a certified instructor since 2015, but have taught as an Adjunct Instructor/Apprentice instructor since 2014. Question: What do you like best about instructing? Answer: I like getting people information that they may not have known they needed. The “lightbulb” moment is something I love to see. Question: What’s your favorite thing to outside of shooting? Answer: Dry-fire! 😉 Just kidding… I apprentice at a custom firearms shop, and that’s become a passion of mine. Outside of the firearms world, I’ve been skateboarding off and on for the last decade, and I always enjoy cruising the skatepark. Question: What advice would you give to someone who’s interested in getting started in defensive handgun classes? Answer: Take a solid Intro to Pistol class, and get the fundamentals down through frequent practice, and then be prepared to continue taking fundamentals classes. The best shooters are the best because they execute the fundamentals quicker and more efficiently than anyone else. Question: Is there anything else you’d like to mention? Answer: Take a medical class!!! A class that teaches you to keep blood where it belongs, keep people breathing, and their hearts pumping will be hundreds of times more useful to you over the course of your life! I highly recommend Chris Mailliard at Response Ready. He teaches at Bristlecone regularly.